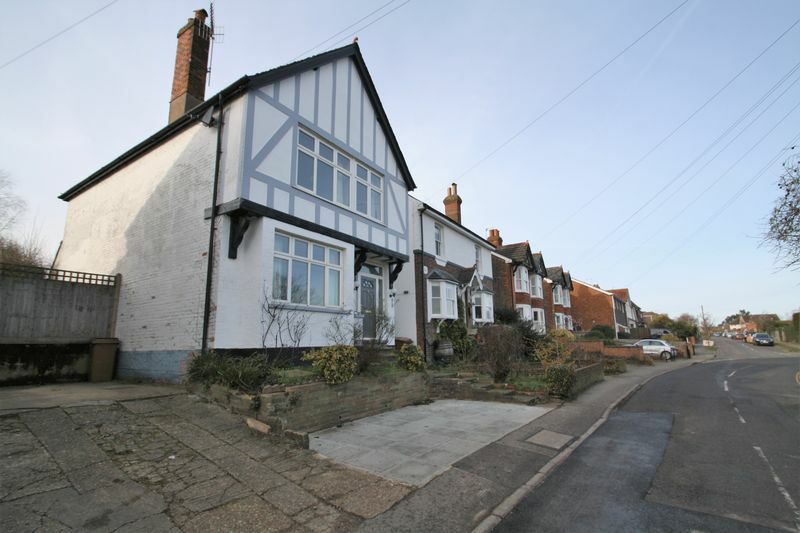 **GUIDE PRICE £550,000 TO £575,000**CHAIN-FREE** LeGrys is truly delighted to be marketing this lovely character family home with large garden in the popular village of Speldhurst. Speldhurst is a very sought after village with a strong local community and has a primary school, church and the well known and highly regarded George and Dragon public house. 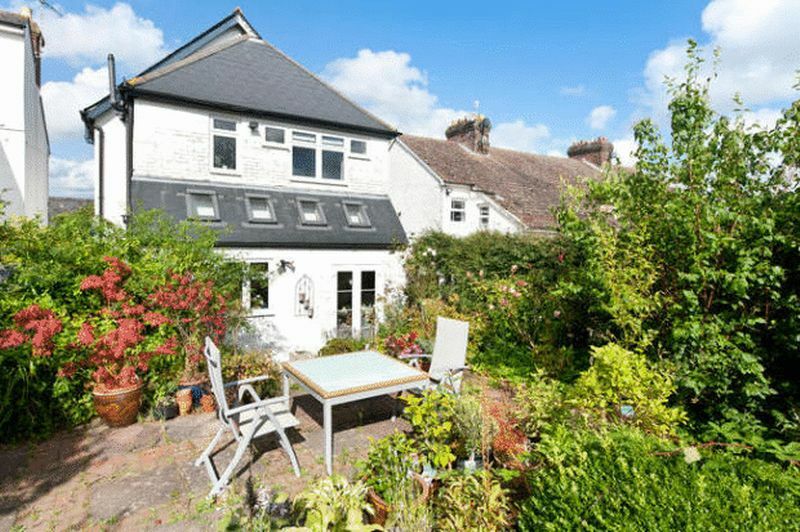 This charming home boasts 3 sizeable bedrooms 1 with en- suite and a generous amount of ground floor accommodation with a lovely south facing garden for outdoor entertaining. Access to this property is from the drive with off road parking. From the front door you enter the hallway with doors leading to the living room on your left, the dining room beyond, and the kitchen straight ahead and to the rear of the property. There is a downstairs cloakroom with WC and corner wash hand basin on the right directly from the hall. 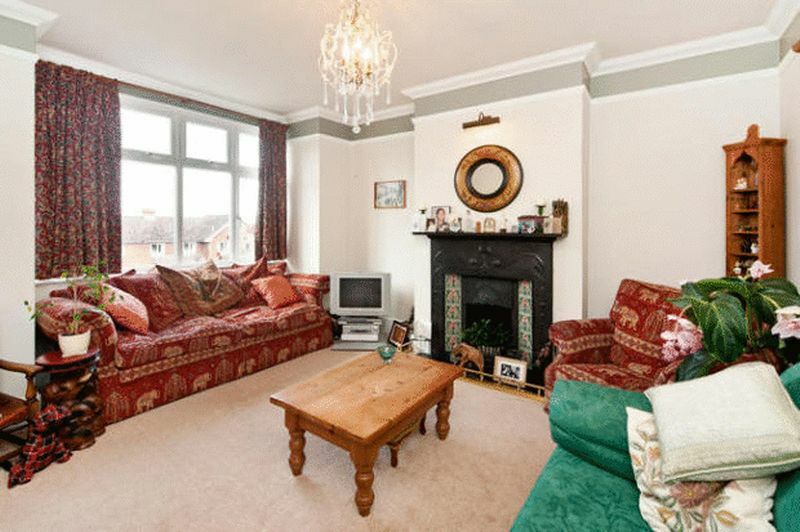 The beautifully proportioned sitting room is situated to the left of the hallway and features include an original Edwardian fireplace and a wide bay with large picture window to the front of the property. The original cornice and picture rail give a charm and character to this lovely room. Also situated on the left beyond the sitting room is the dining room with direct access through French doors to the kitchen. 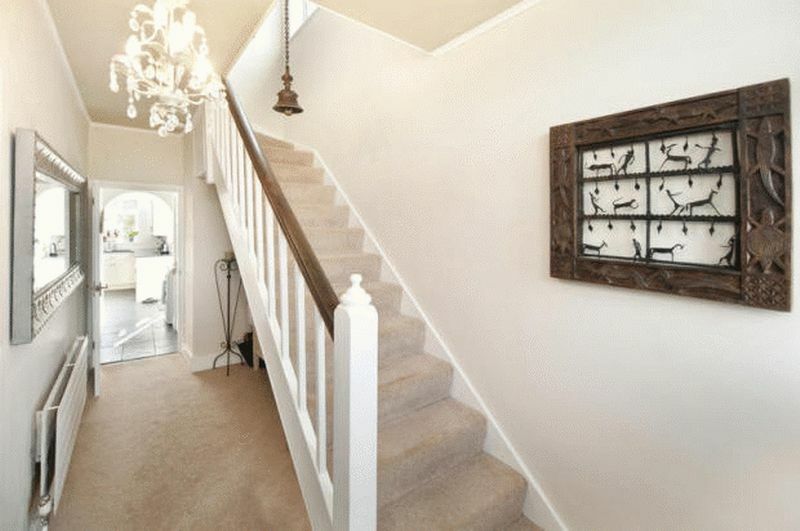 This lovely room still retains the picture rail giving it a lovely sense of proportion. The French doors lead through to the kitchen allowing a good easy flow for family dining and entertaining guests. The kitchen is a focal point of the groundfloor with rooflights allowing natural light to flood in and a semi vaulted ceiling. 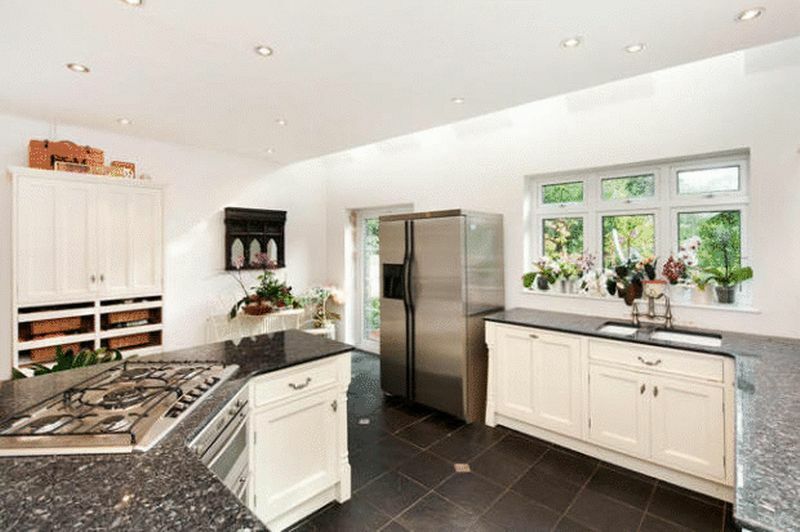 The kitchen boasts an array of wall and base cabinets in classic ivory style with granite worktops. 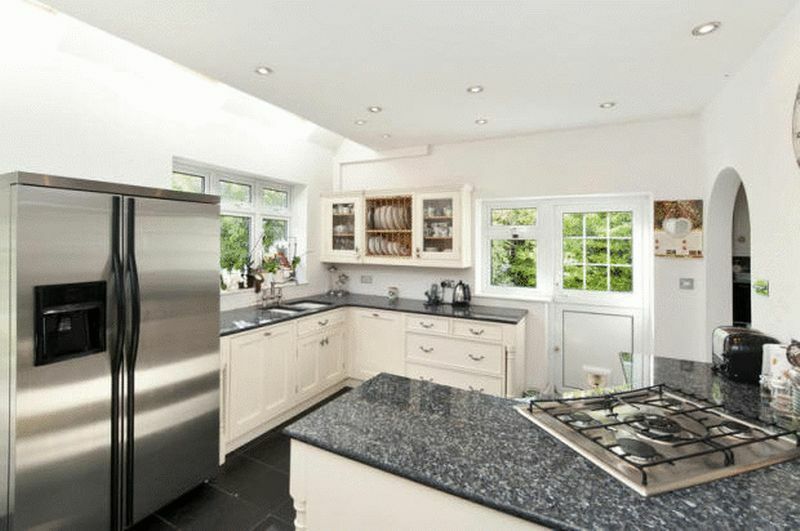 There is space for a freestanding American style fridge and other appliances include integrated 5 ring gas hob with built under oven, double sink with Victorian style mixer tap, integrated dishwasher and integrated washing machine. French windows lead out onto the south facing garden allowing perfect access for outdoor dining. From the hall the staircase leads to the landing from which the bedrooms and bathroom can be reached. 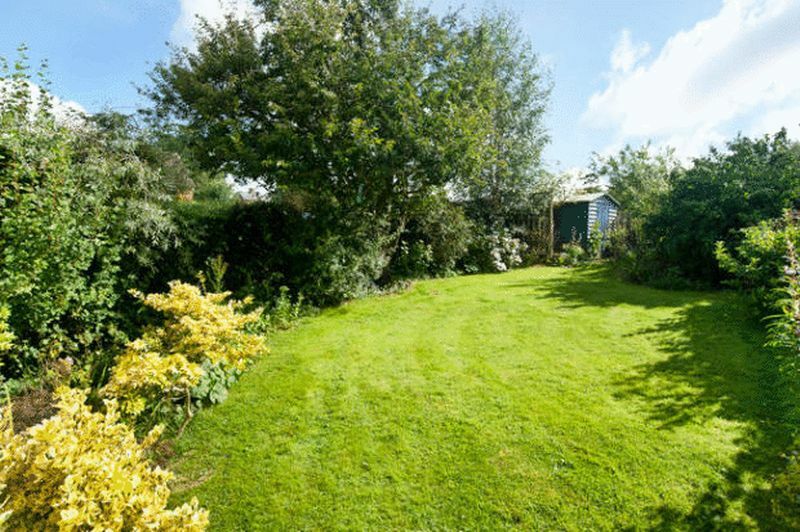 To the left you will find the two bedrooms with far reaching views over the Kent countryside. 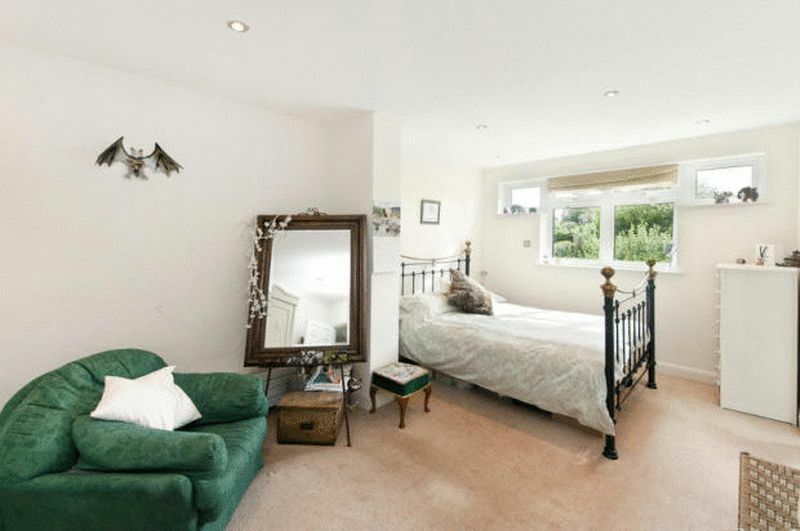 Bedroom two features a range of built in wardrobes and a picture window to the front. The master bedroom has views over the garden and offers generous space with the ensuite bathroom with walk in shower a special feature. This stunning room has the option to allow for daytime relaxation too with enough space for a sofa and dressing area. The ensuite is a real luxury having not only a roll top bath but a walk in shower enclosure too. The suite is white heritage style and offers a real touch of glamour to the master suite. 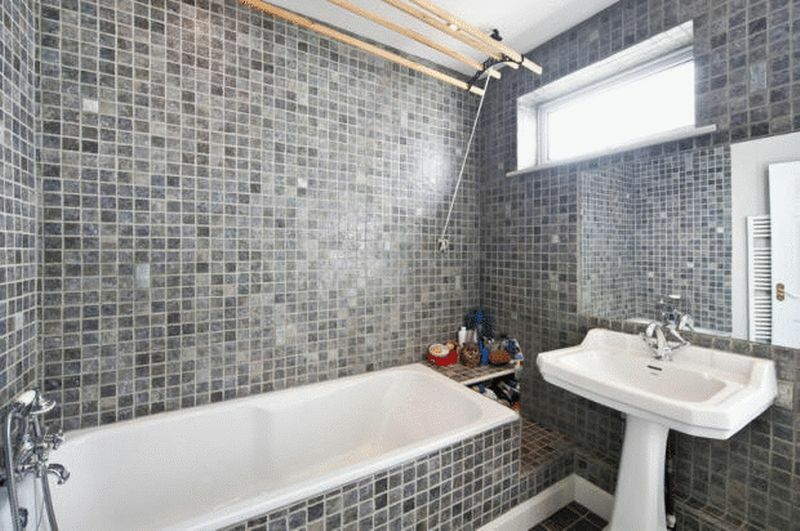 The family bathroom has been finished in contemporary grey with feature tiles and built in bath surround. 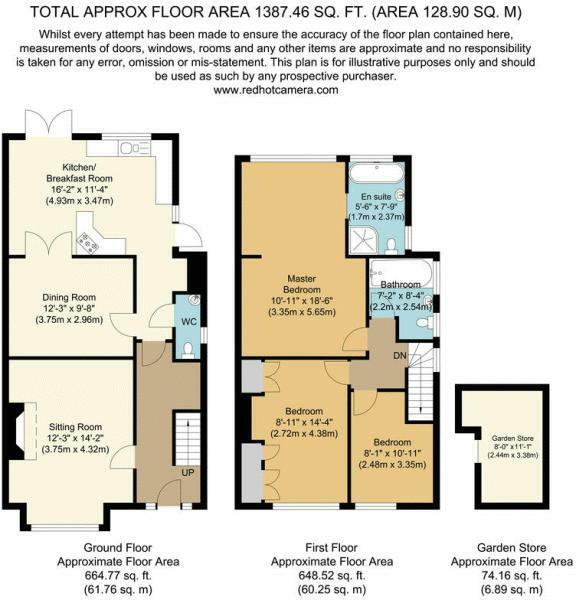 There is a white suite with bath with chrome mixer tap and shower attachment, basin and WC and white heated towel rail. 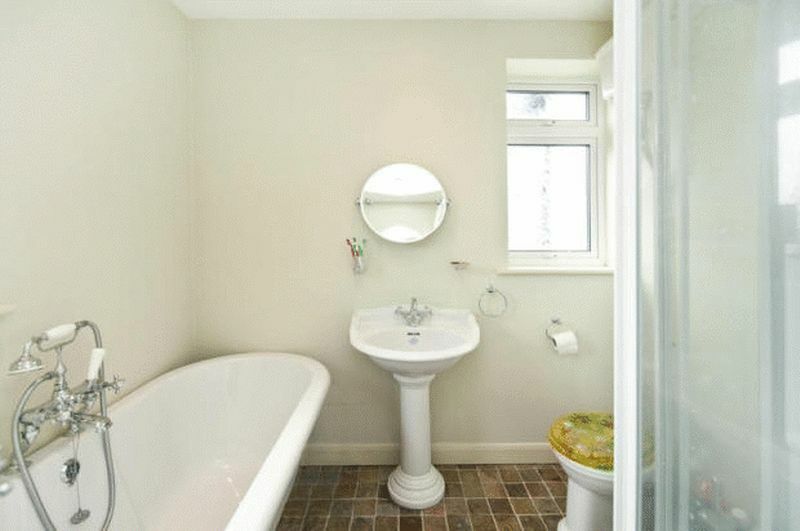 The bathroom has a window allowing daylight and ventilation. 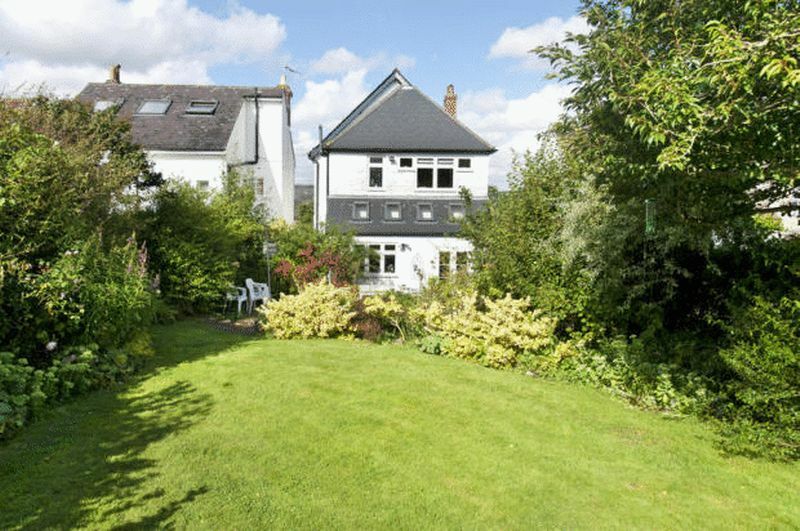 The south facing garden is a delightful feature of the property and offers a sheltered patio area with areas laid to lawn with shrubs and trees. The front of the property has off road parking and side access to the rear garden. The historic village of Speldhurst is home one of the top three highest achieving primary schools in the Tunbridge Wells area, Speldhurst C of E Primary School. Highly regarded nearby Secondary schools include Skinners Grammar School, Tunbridge Wells Boys Grammar and Tunbridge Wells Girls Grammar, (TWGGS) and schools in Tonbridge including Judd boys grammar, Weald of Kent Girls Grammar and Tonbridge Grammar for Girls. . Aside from the Grammar schools, there are a number of other choices including the Bennett Memorial Diocesan School, St Gregory's Catholic School and the Skinners Academy. All schools are accessible using the local bus service. The house is situated just a short walk from the village shop with post office. Many services are close by in Tunbridge Wells include many of the well-known high street retailers in the Royal Victoria Place Shopping Centre as well as the more individual independent shops and restaurateurs in both Tunbridge Wells High Street, Southborough High Street and Tonbridge as well as the historic Pantiles. For leisure, there is a recreation ground with children’s play equipment, bowls club and cricket club. There is also a village hall offering many community clubs and classes. There are many picturesque walks to enjoy the surrounding country-side and woodlands. Knights Park near Tunbridge Wells offers a multi-screen cinema complex, a bowling alley. Transport links from Speldhurst are good with the Main Line Stations of Hildenborough, Leigh, Tonbridge and Tunbridge Wells approximately 10 minutes drive offering a regular service to London (to the North) and Hastings (to the South). The A21 is easily accessible just North of Southborough which gives access to the coast (to the South) and the M25 (to the North). Gatwick Airport is also within easy reach being around 25 miles away. Regular bus services run from the village into Tonbridge and Tunbridge Wells.